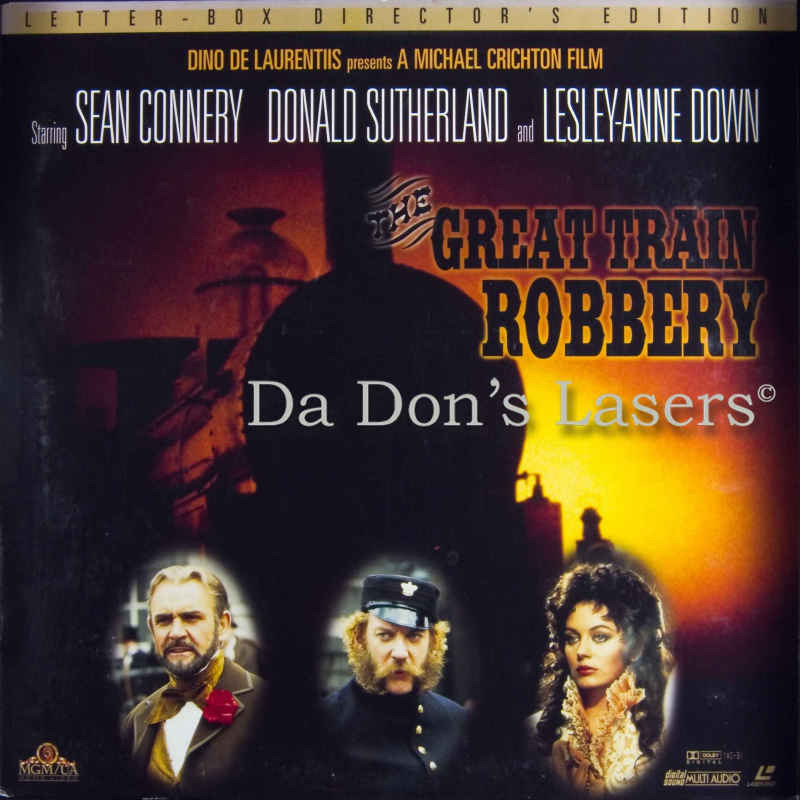 Sean Connery is a Master Thief who Robs a Moving Train! 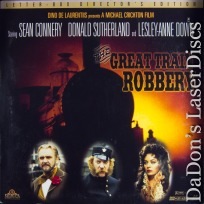 The Great Train Robbery 1978 - 111 min. 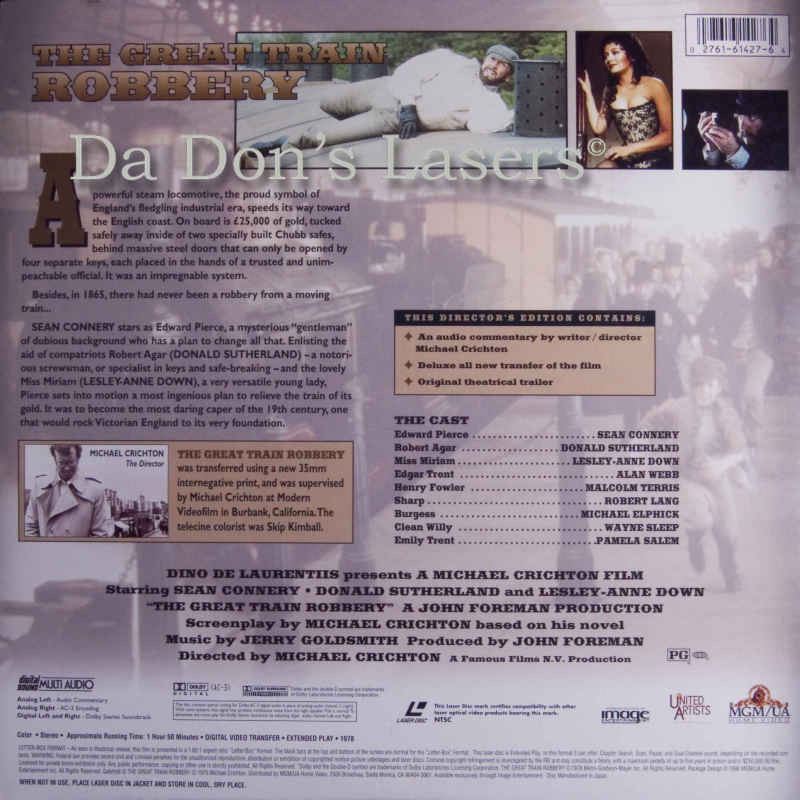 - Color Genre: Thriller Rated PG Country: USA LaserDisc Movie Storyline: Michael Crichton's most accomplished directorial effort, THE GREAT TRAIN ROBBERY is a stylish thriller based on his best-selling book about the first robbery to take place aboard a moving train. Set in 1855 England, Edward Pierce (Sean Connery) is a master thief with the ambitious goal of stealing a shipment of gold bars en route to the Crimea. Conspiring with his beautiful mistress, Miriam (Lesley-Anne Down), and England's greatest locksmith, Agar (Donald Sutherland), Pierce sets out on a quest to copy each of four keys needed to open the train's vault, keys that are kept and guarded by different parties. Giving a smooth performance reminiscent of his James Bond role, Connery infuses Pierce with a disarming confidence as he seduces his way through the upper-class environment of the key holders, who seem to have their own low-brow weaknesses. From the decadent parties and mansions of the wealthy to the brothels and dog fights of the underclass, THE GREAT TRAIN ROBBERY is a historical tour de force that culminates in the suspenseful, dangerous climax of this true story.